– Hatter and I discuss the best films we saw at the film festivals we covered (Toronto and Temecula Valley). – We have a little Q&A to get to “Know Your Enemy”. – We play “Kai’s Always Right”. – Talk a little Movie News. – And, in it’s triumphant return, we play THE GAME!!! WARNING: No alcohol was harmed in the taping of this episode. It was slightly abused however. This episode also contains explicit language and some vulgarity… that being said, it’s friggin’ hilarious. – What happened to the “lost episode” of MILFcast. 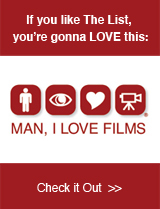 – Our favorite Sci-Fi films. – Our most anticipated Fall films. – And Melody takes another crack at THE GAME!!! FYI: This is our funniest episode to date. Don’t believe me? One word: VerGina! ENJOY!! !